Three years ago, the University of Missouri Health Care and Cerner teamed up to develop the Tiger Institute for Health Innovation, an initiative designed to improve the delivery of care across the state through data exchange and patient engagement. In this interview, Joanne Burns, who plays a key role with both organizations, talks about how the partnership has benefited both parties, University of Missouri’s path to Meaningful Use, and the challenges of juggling multiple priorities. She also discusses how she works to make sure IT’s goals are closely aligned with those of the organization, and why she has set the bar high for all vendor relationships. For us it was a strategic move where we were looking to really get all the data in one place so that we didn’t have to spend a lot of time or be distracted with the integration aspects. The Tiger Institute for Health Innovation is a unique partnership between Cerner and the University of Missouri where the two organizations really felt that together they could do more than either of them individually as far as advancing the health and care of the people of Missouri. We all felt that the clinical information systems were really the foundation for better care and more accessibility to data, because we really believe that the data and the information that you get out of it are one of the things that can change healthcare. We firmly believe that the future lies in what do you do with the data once it’s in there and how do you utilize it. So we are spending a fair amount of time looking at that aspect of it and retooling our IT organization to start looking at trying to get out of the break-fix mode and really look at using data to drive care delivery. We are doing some things within our IT organization as well to shift our mindset to engaging patients with technology and really having somebody who’s focused on how do I, as a patient, leverage technology. Gamble: Good afternoon, Joanne. Thanks so much for joining me on this call. I’d like start by sort of getting the lay of the land. I see that University of Missouri Health Care includes seven hospitals and several clinics. Can you give the readers and the listeners an overview of the organization? Burns: Sure. The University of Missouri hospital and clinics are part of the University of Missouri. It’s located in Columbia, Mo., which is really in the center of the state. We have seven hospitals proper, if you will, and about 50 or so clinics that we run. The hospitals are system really of subspecialty hospitals, and they include University Hospital, Women’s and Children’s Hospital, Missouri Orthopedic Institute, Missouri Psychiatric Center and Missouri Rehabilitation Center down in the southern part of the state. In addition, as I said, we have 50 clinics with multi-specialty as well as primary care. Gamble: In the clinics, what is the physician mix? Are all of the physicians employed by the university or the health system? Or are there also independents? Burns: There are some private physicians with admitting privileges into the hospital, but for the most part, being an academic medical center, we have a faculty practice program where the physicians are affiliated with the med school, as well as pretty robust residency training program and fellowship. Most of the physicians are though either employed or affiliated with the school. Gamble: Okay. So I want to talk a little bit about the clinical application environment. Is Cerner primarily used in the hospitals? Burns: Yes, Cerner is used for the electronic medical record. It’s our clinical information system across the hospitals and clinics. Gamble: So the clinics also use it. That makes it a lot easier. We talk to a lot of people who have clinics that are using different EMRs, and that’s a big issue. Burns: Yeah, we felt that we would rather spend our time organizationally leveraging the power of Cerner or the power of the one EMR across the organization, rather than spending time integrating and trying to get everything to work and getting everybody the data that they wanted across in their venue of care. We would rather spend the time — obviously after we deploy the system and get people using it — on how do we leverage that information and really start making different clinical decisions or organizational decisions or operational decisions based upon being able to display the data. So really for us it was a strategic move where we were looking to really get all the data in one place so that we didn’t have to spend a lot of time or be distracted with the integration aspects. Gamble: Are you live on CPOE? Burns: Yes. We’ve been live on CPOE a little over a year. Gamble: And in the practices as well? Burns: We are in the midst of a clinic deployment, so we’re about halfway done with the clinics. We’ve done the clinic rollout in four phases, if you will, four groupings of clinics. So we’ve got two left, the next one coming up in actually about three weeks or so, and then the final one in April, and then we’ll be completely deployed across the clinics. We are already doing e-prescribing in the clinics; that part is already live, so it’s more about just getting the complete functionality that lets us get to eligible provider Meaningful Use across the board. Gamble: Okay, and that’s something we’ll definitely touch on a little bit more later. All in all, it seems like you are in good shape or at least better shape than some organizations are, just as far as having one EMR across the board in the hospital and clinics. Gamble: So one thing I wanted to really talk about was the Tiger Institute for Health Innovation. Let’s talk about the goals that the initiative hopes to achieve and also how you got involved with it. Burns: Sure. The Tiger Institute for Health Innovation is a unique partnership between Cerner and the University of Missouri where the two organizations really felt that together they could do more than either of them individually as far as advancing the health and care of the people of Missouri. It’s kind of a lofty goal, but we’re really trying to take advantage of the capabilities, being an academic medical center and university, broadly across all the schools, to get good ideas, whether it be innovation or population management or outreach, but really taking a look at what does a university have. And then with Cerner having a strong technology background and focus, as well as obviously the EMR, we’re really trying to figure out how do we work together to change the way healthcare is delivered and change the outcomes of people being cared for. So part of that is obviously a rapid deployment of the foundation. We all felt that the clinical information systems were really the foundation for better care and more accessibility to data, because we really believe that the data and the information that you get out of it are one of the things that can change healthcare. 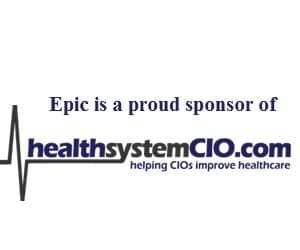 We rapidly deployed all of the EMR up to HIMSS Stage 6; that’s where we’re at right now. So when the Tiger Institute started, MU was a Cerner client and had some capability deployed broadly. But really the goal was how do we catch them up, get to Meaningful Use on the inpatient side, and get CPOE, bedside barcode administration, and all of the full capabilities deployed. So that all was done pretty rapidly — within a year or so of the Tiger Institute formation. The other arms of the Tiger Institute involved coming together to develop new innovations and new ideas for commercialization; for example, universities looking for a revenue stream. How do we look at new commercialization for innovations or inventions or patents or ideas that come out with the joint kind of mindset, as well as creating a health information exchange? With the Tiger Institute Health Alliance, which we have launched across mid-Missouri and have a number of clients signed up for, we are starting to connect and share data so that we can really look at total cost of care and referral patterns for our patients across the whole middle part of Missouri. There are some other innovations going on around population management and community challenges around weight loss, different things that we’re trying to do to engage the community in health, as well as our patients directly here at the University of Missouri Healthcare, and even our providers and caregivers. You also asked how I became part of it. I have a long history of working with academic medical centers. I was a nurse before getting involved in IT and then actually moved over into the IT realm. I worked for academic healthcare providers on the East coast and the West coast, so I have a pretty long history of working in this environment. I went to work for Cerner about eight years ago and worked within the development organization and with different client groups there. Then this opportunity came up and I was approached by the University of Missouri and Cerner. They said, ‘This is a great blending of all of the work you’ve done over your career. Would you be willing to come work out here?’ And it’s been a great role and a great opportunity for me. Gamble: That really sounds like something that could serve as a model in that it benefits your organization as well as community. With this type of initiative, I imagine it’s a pretty significant advantage having the same EMR system used by the hospitals and the clinics to facilitate the exchange of information. Burns: Yeah. Everybody’s working right now and is on the treadmill in the race to get the EMR in and deployed. At MU, we firmly believe that the future lies in what do you do with the data once it’s in there and how do you utilize it, and to change practice patterns. So we are spending a fair amount of time looking at that aspect of it and retooling our IT organization to start looking at, instead of just deployment and fixing stuff, trying to get out of the break-fix mode and really look at using data to drive care delivery. The other piece that we’re really shifting our mindset around is that a lot of the focus for the last decade has been on how do I engage the physician or provider, the caregiver, the nurse, or the pharmacist in the use of the system for getting data in. We also believe that patient engagement and the patient experience with the use of technology is big — we’re the forefront of that as well. So we are doing some things within our IT organization as well to shift our mindset to engaging patients with technology and really having somebody who’s focused on how do I, as a patient, leverage technology, whether it be a portal or an in-room education training TV, which actually becomes now much more of an information center. How do I start setting up an interaction with my physician so that I can be very versed in MU Healthe, which is the patient portal? So that they get very used to that. They get to understand that if they’re an inpatient, as well as how we engage them following an acute care stay or before it. As patients come into our clinics or prior to coming into our clients, we want them to be able to do a lot more online. So there’s a kiosk idea and a whole bunch of other pieces. But patients and the use of technology, we all believe that that’s really the future. We want to do a whole thing where if somebody’s coming in for a scheduled admission, we can get information out to them prior to them walking in the door so that it’s a much easier experience as they transition to inpatient, and then again when they’re being discharged, how to ease that transition as well. We’re trying to leverage technology to really facilitate all of those pieces and transitions of care.